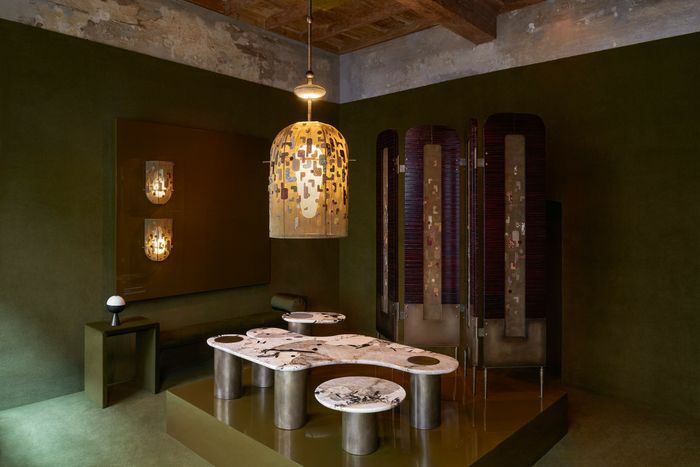 Inside the 58th edition of the Salone del Mobile. 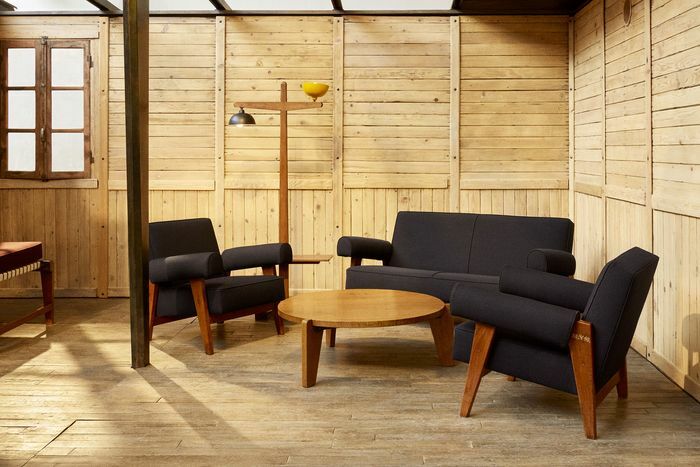 This year, as always, at the Milan Furniture Fair, it’s a race to be everywhere at once, taking in the plethora of events around the city. 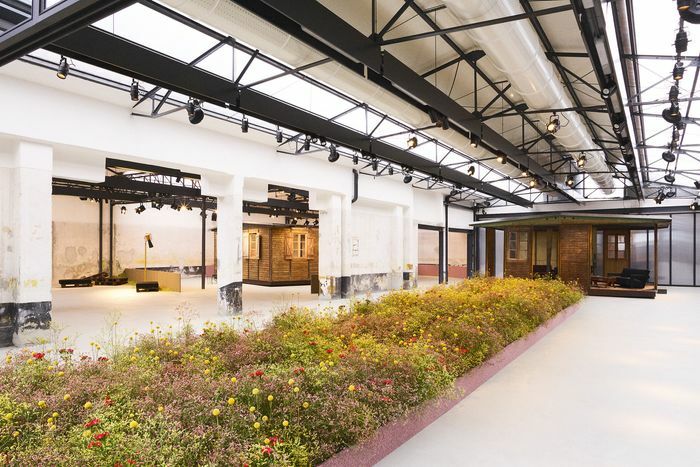 This means viewing extraordinary installations within palazzos that are impossible to see, save for gaining entrance courtesy of Dior, Louis Vuitton, and Versace and relishing the muscular beauty of industrial spaces like Garage 21, where Raf Simons showed his new fabric collection for Kvadrat. Then there are the main fairgrounds in Rho outfitted with a moonscape of 20 different halls overflowing with design discoveries. Scattered around the city are artists such as Anton Alvarez, who dreamed up his own methods of working with bronze for the first time, the results of which were shown in the quiet of Church San Bernardino alle Monache. 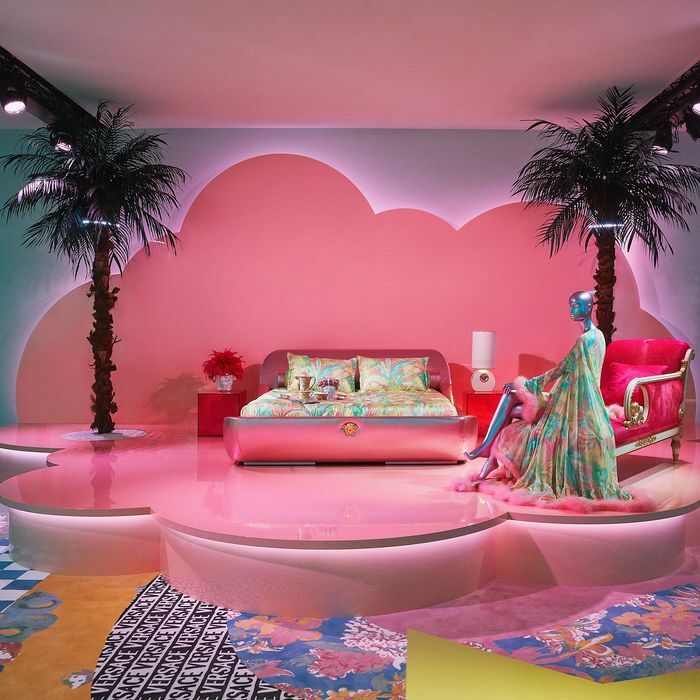 It’s also a chance to revisit iconic brands like Fornasetti, peruse the fresh beauty of new carpets, wallpaper, and, of course, the famous ceramics and, in the true spirit of the times, discover designer Sasha Bikoff, who created an installation with Versace Home’s new collection. You can see Design Hunting discoveries in real time as you follow my trail on @designhunting. Let the games begin! The new pieces by Apparatus are astounding; they are truly couture for the home. 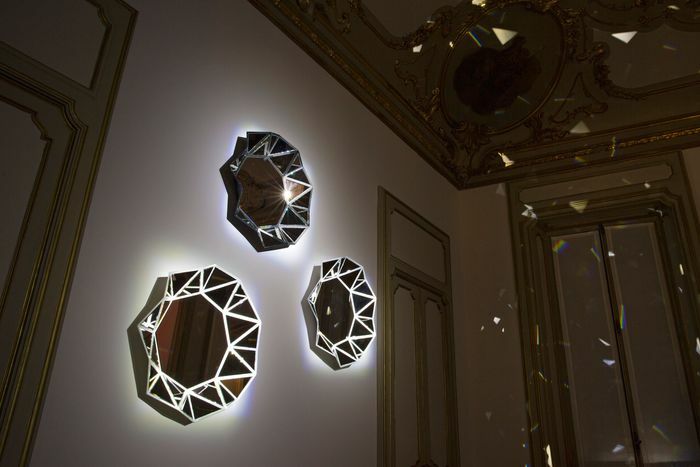 By rethinking embroidery and uses of materials as diverse as bugle beads, mesh, and other surprising elements, the lamps look like the patterns in Klimt paintings. 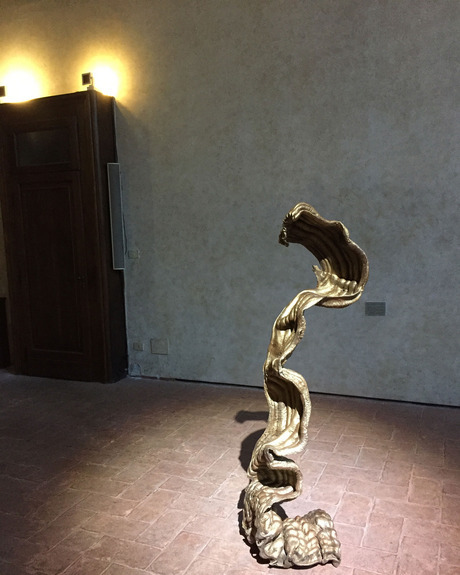 A bronze sculpture by Anton Alvarez from his exhibition “L’Ultima Cera” in Church San Bernardino Alle Monache. This Swedish-Chilean artist is working with the metal for the first time. Alvarez is the first resident artist working in the Fonderia Artistica Battaglia … more to come on this talent. Painter and sculptor Tyler Hays keeps adding to his design repertoire for BDDW. 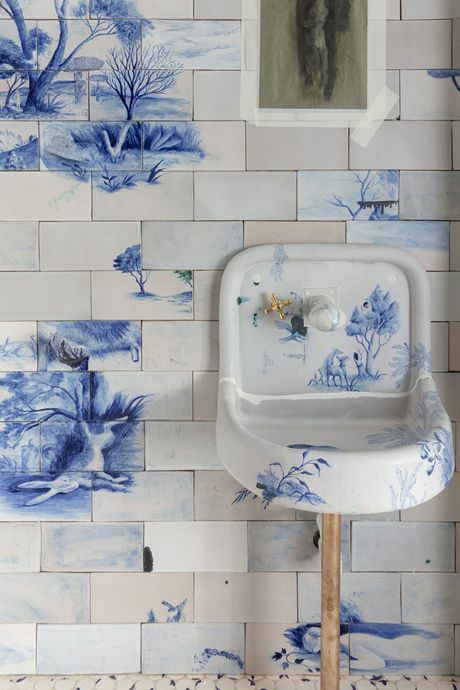 I loved this ceramic sink. All the floor and wall tiles are his designs. He’s also doing more clothes, making musical instruments by hand — what doesn’t he do? 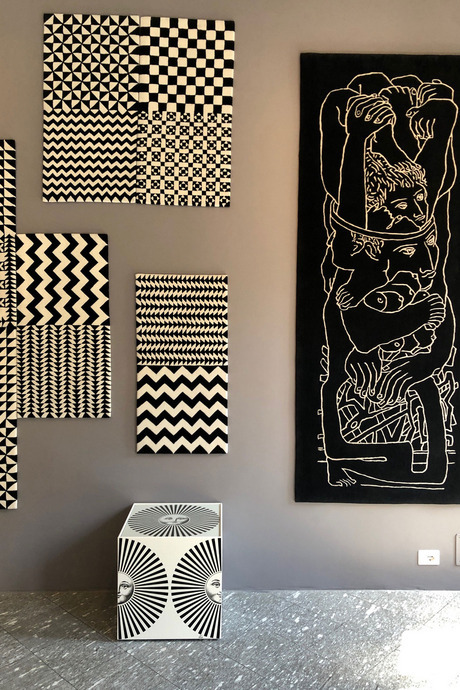 Oh, and he just opened the BDDW Annex Gallery, displaying art and ceramics below his store in Milan. The subtle beauty of Raf Simons’s new collection for Kvadrat is best summed up in this ravishing garden installation by Mark Colle, seen above. Entering the grandeur of this old auto garage, the scent of these flowers hits immediately, while their texture looks like one of Simons’s new tweeds. He’s also worked his magic on corduroy and bouclé, infusing the textiles with heart-melting colors. If ever there was the pop-up restaurant of your dreams, Rochelle Canteen is it. 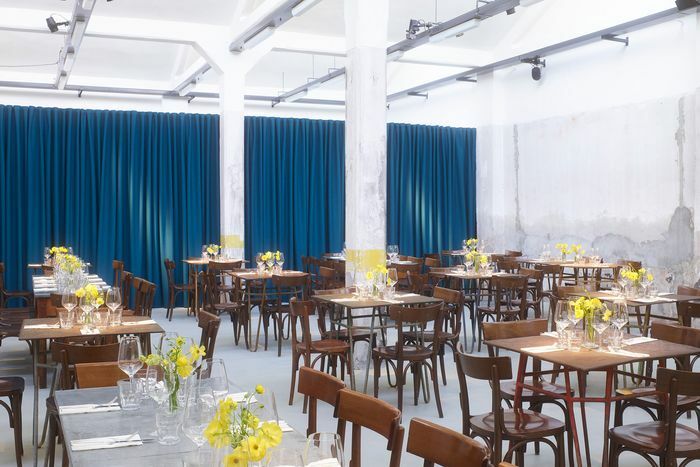 Commandeered by Martin Cohen of 6up, every single thing about it was perfection: perfect use of the given setting with those exquisite industrial distressed walls, always more elegant than anything, garden tables, fresh delicious fare. A moment to exhale during the ecstasy of design overload.